Yes, Jeff Christie is Rush Limbaugh ! 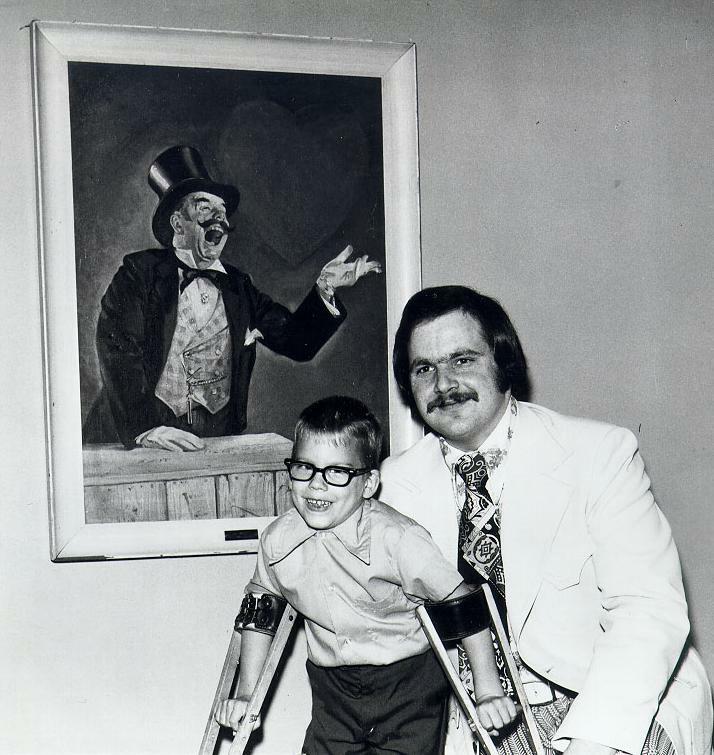 Jeff Christie with an unidentified child. 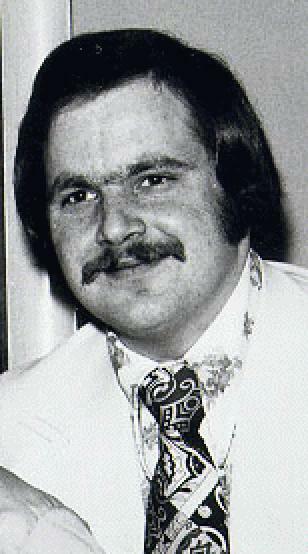 Before making it to the big time behind the golden EIB microphone, Rush Limbaugh worked in Pittsburgh. 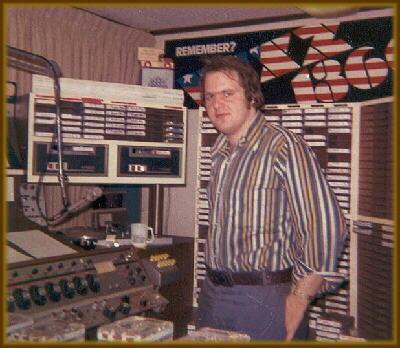 As Jeff Christie, Rush was first at WIXZ 1360, then in 1972 joining KQV when Jim Quinn left for Buffalo. Today Rush is on more than 600 radio stations. Thanks to Dee and Craig Kirschner for the WIXZ studio pidture. 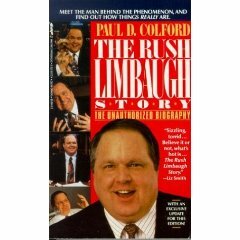 The following excerpt is from the book ""The Rush Limbaugh Story," by Paul D. Colford. Copyright 1993, Paul D. Colford. "For Rush Limbaugh, McKeesport, Pa., was the Big Time. Its 6 1/2 square miles totaled less than half the size of Cape Girardeau, but the population of 38,000 was slightly larger. The station was WIXZ-AM, a tiny Top 40 operation whose daytime signal was strong enough to reach most of the Pittsburgh market. At the time, the hits ruled AM radio. Air personalities were expected to ruffle the airwaves with patter between the platters. And Limbaugh was a personality - and a creative one at that. 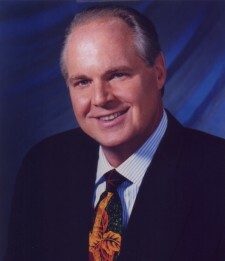 Working on the air as Jeff Christie, a name he would use through the 1970s, Limbaugh embraced the job and the business. He first had an afternoon show and later did mornings. Between shifts, he would spend hours and hours at the station. Doing a bubbly morning show in 1972, he would get to the station well before the 6 a.m. sign-on and spend time with a bunch of newspapers and magazines, to the amazement of his colleagues. He is remembered off the air at WIXZ as a voraciously well-read student of current events who was quick to share his conservative world view. But on the air, he was as goofy as the format called for. Once Limbaugh tried to reach Queen Elizabeth (on air), failed to get through, but ended up interviewing the head of the monarch's household. "It was so easy to recognize his talent," said Raymond Gardella, who was then WIXZ's general manager. "He had a lot of drive and ambition." Among those enjoying Limbaugh's on-air routine was Bob Harper, the program director at Pittsburgh's KQV, the No. 2 station in the market behind KDKA and one of the country's leading Top 40 outlets. "I would listen to him in my car and he would crack me up," he says. Harper hired him in 1973 to succeed KQV's evening disc jockey, Jim Quinn. Still, for all the visibility that KQV gave him, Limbaugh understood that people tuned in mainly for the music and so it was silly to take himself too seriously. Within the tight constraints of KQV's format, Limbaugh began to forge the bombastic, on-air persona that would prove so popular in national syndication more than a decade later. He spoofed being a disc jockey in the way that Steve Martin would come to parody a stand-up comedian during his own stand-up routine: "Now, I'm going to play two commercials, a public service announcement, and a record, with one hand behind my back, and I will do it all flawlessly in 8 minutes and 10 seconds." To work in Pittsburgh radio was to feel poised for the really big markets. After all, Jim Quinn, whom Limbaugh followed at KQV, had graduated to WPLJ-FM in New York and disc jockeys Fred Winston and Gary Gears had moved on to Chicago. But as Limbaugh would learn time and again, good fortune in the radio business lasts only so long as the ownership, the management and the format favor what you do. As it turned out, KQV became a ticket to nowhere. Toward the end of 1974, ABC prepared to sell KQV to Taft Broadcasting. Meanwhile, lame-duck management pressed Jim Carnegie, the new program director, to fire Limbaugh. "For about 90 days, they kept telling me to fire him, saying he was a no-talent bum," Carnegie says. "Finally, I either had to fire him or get fired along with him. I called him in and gave him the bad news." To add insult to the pain, general manager John Gibbs reportedly told Limbaugh that he would never make it as an air talent and that he should seriously consider going into the sales end of the radio business. Limbaugh phoned Harper, who had become program director at WKBW in Buffalo, in search of a job. But his admirer had nothing for him. Three years after leaving home for the big time, he was heading home. Back to Mom and Dad in Cape Girardeau. "I spent seven months doing nothing," he said. "I was bummed out. I loved the city of Pittsburgh." Limbaugh spent the next decade bouncing from one radio station to another. In 1979 he abandoned radio all together and went to work for the Kansas City Royals as a public relations executive. Four years later, Limbaugh was back in radio first in Kansas City at KMBZ and later in Sacramento, Calif., where he replaced Morton Downey Jr. at KFBK and became a talk radio success."